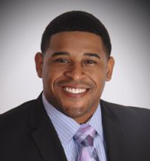 CHERRY HILL, NJ, May 14, 2014 – AmeriQuest Transportation Services, a leading provider of comprehensive fleet management services, financial solutions, and operational support services, announces the appointment of Jared Butts as Director of Sales, who will be reporting to Matt Bogdan, Vice President of Sales, Private Fleet and Carrier Division. Butts is responsible for managing the needs of private fleet and truckload carrier customers in the Texas and New Mexico region, educating them about the benefits of AmeriQuest’s supply management programs and its full menu of fleet services, including financing, remarketing, fleet planning, logistics consulting, full service leasing, and accounts payable automation. Prior to joining AmeriQuest, Butts spent eight years with Michelin North America where he served in a variety of positions, culminating in that of Key Account Manager. He was recognized by that organization as the Top-Ranked Commercial Sales Manager and worked on a diverse group of accounts, including UPS, Texas Industries, and others.